Facebook becoming one of the biggest video sharing site. Facebook does not offers to download videos from its site like Youtube. Below the simple tutorial tells how to download videos form Facebook. First Install Facebook Video Download extension from Chrome Web Store. the extension icon appears on the toolbar next to the Chrome URL field . 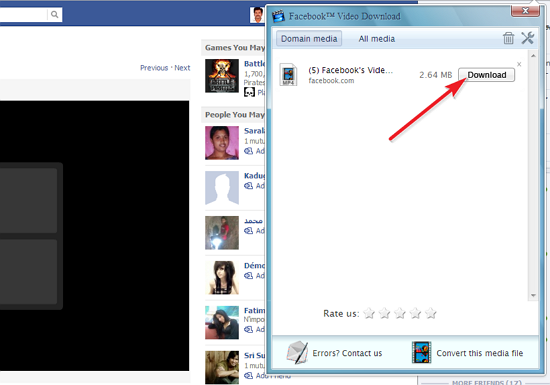 Then open any Facebook video and then hit Facebook Video Download extension this will show the download button. Finally click the download button to download video to your computer.